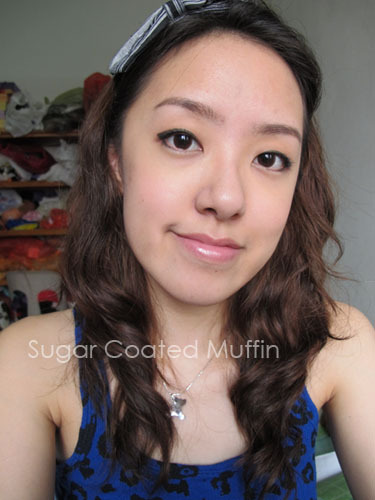 Am loving the new Empro products I got ^_^ I'm using the brow pencil and mascara here. Another new product I'm testing is the Beautylabo Leave-On Treatment Gel. Not sure if I like it. 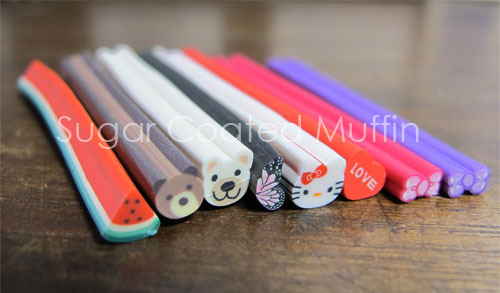 Ordered these adorable fimo clay canes from Nell Stash. Spot the Hello Kitty??? ^_^ Total RM 17.50 here. It's usually RM 2.50 per cane and she has many designs that I don't see at the night market. Well, my parcel from HK arrived lol Bought these from Art-La-Lic on Ebay. 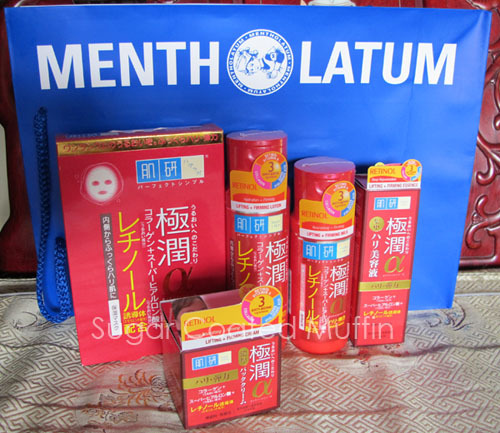 This bunch costs RM 53.19 & reached in 11 days (shipping was free too). The stuff are seriously dam cheap compared to local prices. I'm a bit disappointed with the fimo canes though. The designs given are not like the ones in the picture at all. Guess it's random. Dotting tool. 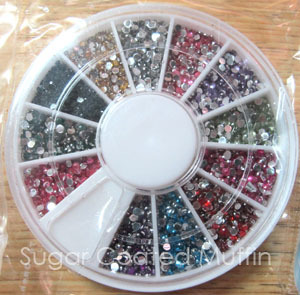 I've seen this exact one selling here for RM 20-40 while I got it for RM 7+. 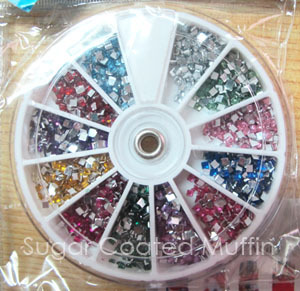 Square rhinestones (this is a BIG wheel, not the small one) for RM 7+. Btw, I have never seen square ones in the night market before. 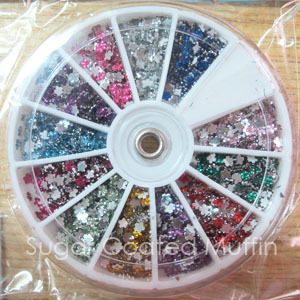 Small wheel of round rhinestones, RM 4+ (this price is just ridiculous.. it's inclusive of free shipping as well). 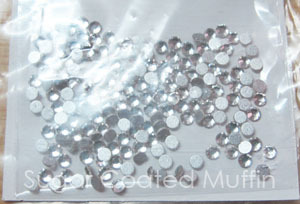 200 clear Korea rhinestones for RM 6. Honestly, I thought 200 would be more lol Should have gotten more than one. 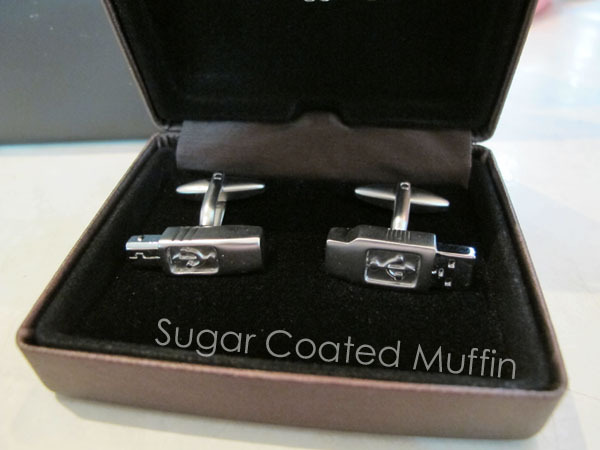 These are bigger than the ones above (in wheel) + they look more shiny. 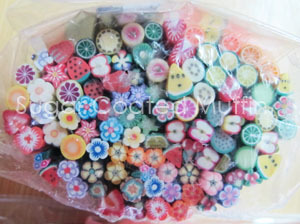 100 fimo canes + blade for RM 18, which means each cane is 18 cents. But be warned.. Not all the designs are nice. Bought these from Daiso. The pill box is to keep my sliced fimo clay while the razors are for my brows. Still not used to it though. u are sooo hardworking in making ur mu so pretty! 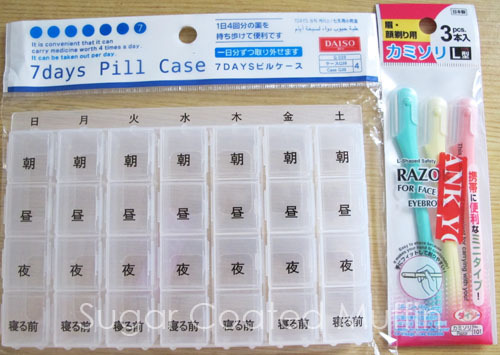 I have a question... How much did the pill box from Daiso cost you? Any Daiso near JB? I think everything from Daiso is RM 5? lol I did a little online search and there appears to be one at Aeon Bukit Indah.